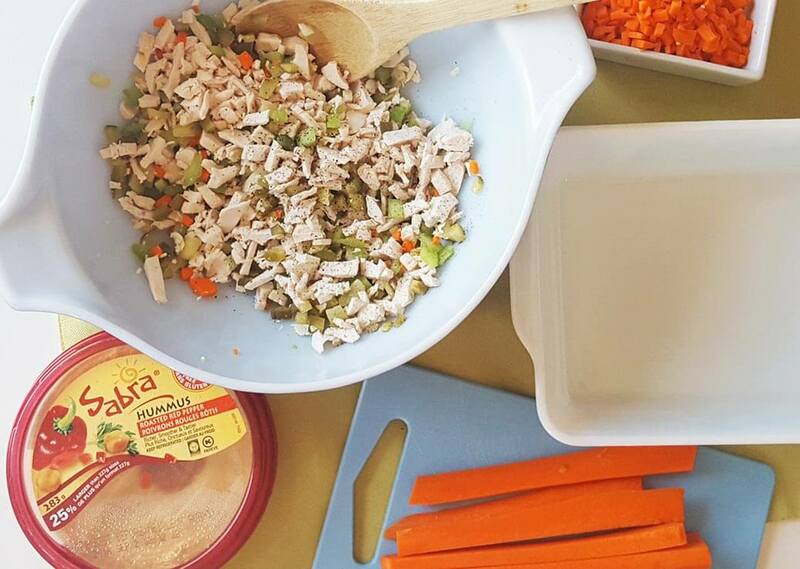 Summer is in full swing and I’m trying to avoid the usual sandwiches and drab lunches that the kids eat all year in school. Making new things often is great so we don’t get bored and so we get balanced nutrition but it’s tough and they aren’t big green salad eaters yet so I am having to get creative. One thing my kids will eat no matter when I put it in front of them is hummus. 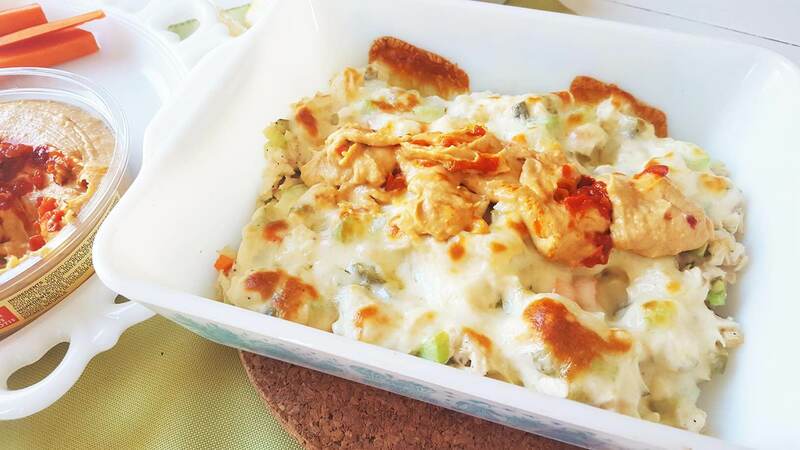 Chicken salad is one of my favourites but to take it out of the sandwich situation and up the veggie intake I turned it into a baked dip with cheese. 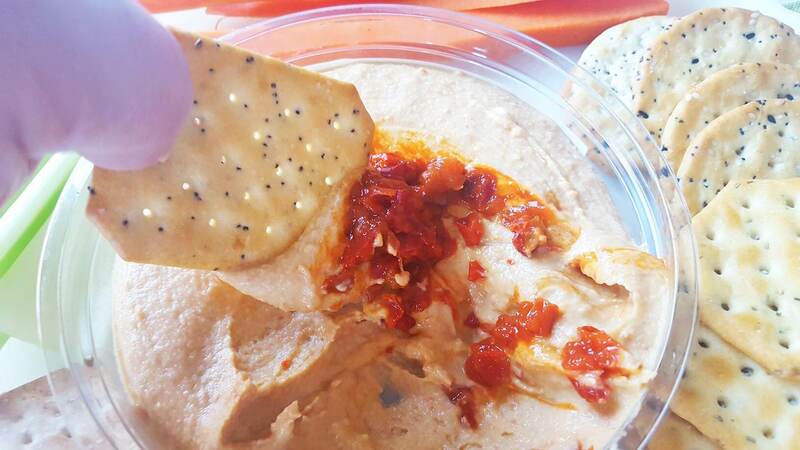 It was so simple, but really, really good and dipping into Sabra Roasted Red Pepper hummus and then chicken and then hummus again was very satisfying! After it came out of the oven all browned and warm I spooned some hummus onto the top. We had more hummus on the side and when the top layer was scooped off the chicken salad I dolloped some more on there for good measure. 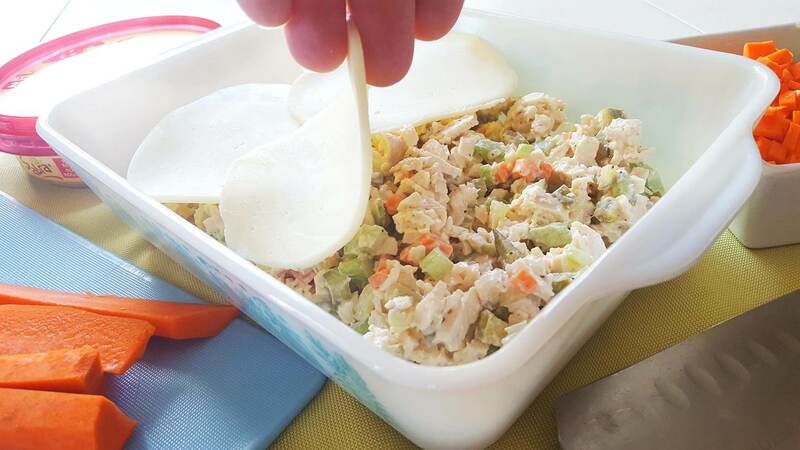 Mix the chicken, celery, carrot, mayo, pickles, and salt and pepper in a bowl then transfer to a baking dish. Top with cheese and bake at 400 for 10 min and then broil to brown the top. 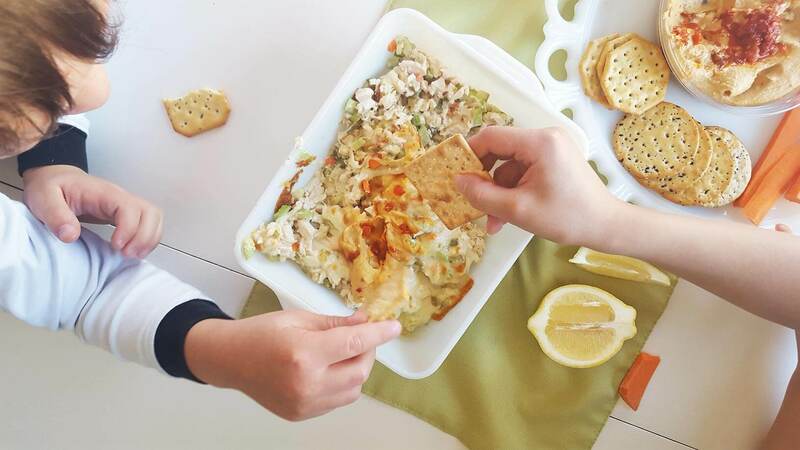 Spoon Sabra hummus over the top and serve with crackers and veggie sticks. My daughter who is going through the worst picky eating stage right now, even worse than when she was three, dove into this with no complaints. She’s not a big chicken salad eater but the hummus tempted her in there. I will absolutely make this again before summer is up – it was a really easy way to get everyone at the table eating something nutritious. This looks really nice! I love the list of ingredients. My family would love this. Perfect for a hot day too. Oh this looks so good! 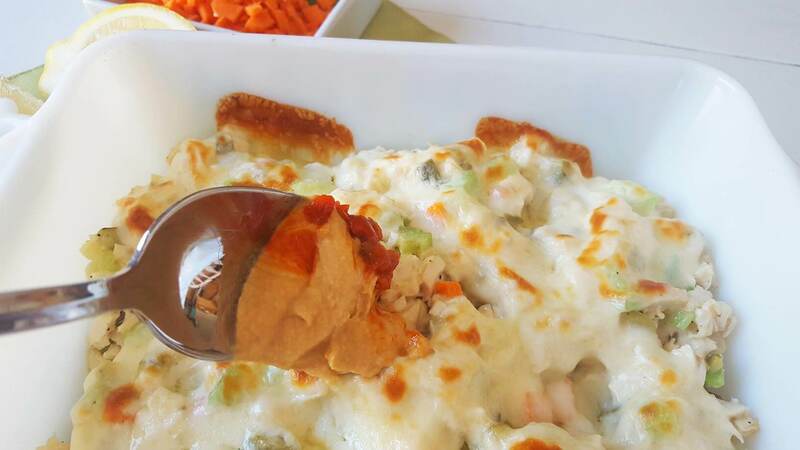 I love the added hummus to a baked cheesy dip!